‘This place is just gorgeous, I can’t believe how lovely it is’ I say. ‘You’ve said that already, loads of times’ sighs my fifteen year-old daughter. We’re spending a few hours in the city of Dubrovnik on the Adriatic coast of Croatia. We only have a few hours because we’re on a cruise and our ship, the MSC Preziosa, is leaving for Venice later today. It’s our first cruise and I’m really enjoying the chance to have a quick overview of different places and to see where I’d like to come back to another time. It’s my first time in Dubrovnik and I’d definitely like to return here. The fortified old part of the city dates from the seventh century and is encircled by ancient walls which are up to 25 metres high in places. We walk in to the city over a stone bridge and through a stone gateway. The streets inside the walls are pedestrianised and are paved with creamy marble which seems to shimmer in the July sunlight as we walk along. The pale stone buildings are topped with red tiled roofs and it all looks lovely. Besides the draw of the city the coast is gorgeous too and apparently the waters here are the cleanest in the Adriatic. At some places where we stopped on the cruise we were surrounded by people trying to sell us things as soon as we arrived. I find this irritating and sometimes stressful, especially if I’m with the children because they don’t like it at all. When we arrive in Dubrovnik there are also people waiting to sell us things but they keep their distance and don’t hassle us, which is much appreciated and is another reason why I’d like to go back there. 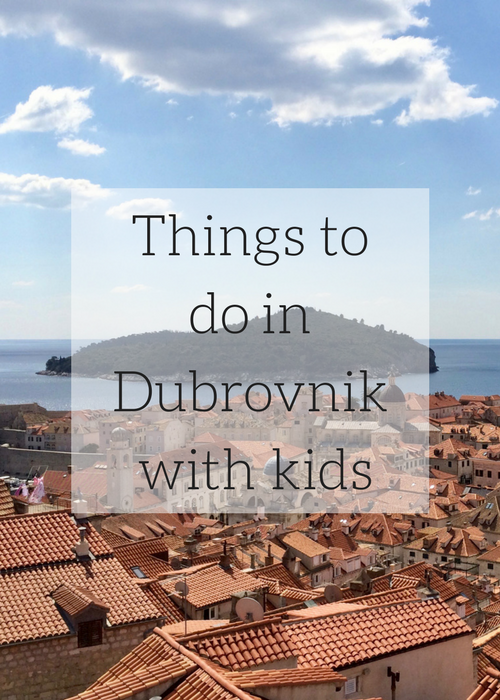 In case we do ever go back I’ve been looking into things for families to do in Dubrovnik. Here are some activities which have been recommended to me as great things to do. The old city is lovely just to wander around and explore. The high city walls are one and a half miles long and are punctuated with towers, crenellations and are topped with an ancient footpath along which you can walk (for a charge) and enjoy some amazing views across the city rooftops and out to sea. We loved walking along the walls and took lots of photos. Lokrum is a forested island which you can see from the city walls. It’s just off the coast and is a 15-minute boat ride from the city. On the island there’s a small salt lake which is great for kids to swim in as well as some botanical gardens and a Benedictine monastery. There are also some tame peacocks wandering around the island. For great views of the city and beyond you can go outside the city walls and take a cable car up Srdj mountain. It runs every 30 minutes and takes just four minutes to get to the top. At the top there’s a restaurant and on a clear day you can see for up to 30 miles or so. You can go sea kayaking in the water right next to the old city. When we arrived there were people in the square outside Pile Gate offering sea kayaking excursions there and then – I’d love to have done it if we’d had more time. There’s a marine aquarium and maritime museum in St. John’s Fort at the old city harbour. It houses fish and marine life from the Adriatic. There are all sorts of beaches around Dubrovnik and the nearby islands from sandy to pebbly to quiet to busy. The Copacabana beach on Dubrovnik’s Lapad peninsula is one of the biggest and boasts a restaurant, water sports and some inflatable water slides in the sea. 25 metres under one of the runways at Dubrovnik airport is Durovic cave. There’s evidence that the cave was used in the Bronze age. It was used as a shelter in 1991 during the Balkan war. You can now pay for a guided tour (including in English) to see the stalactites and stalagmites that are still growing in the cave. My kids love going to markets and choosing food and souvenirs when we’re travelling. Gunduliceva Poljana Market is in the heart of the old city and we enjoyed browsing there when we visited. Thank you to Marijana of Smooth Holidays for the tips she gave me for this post. 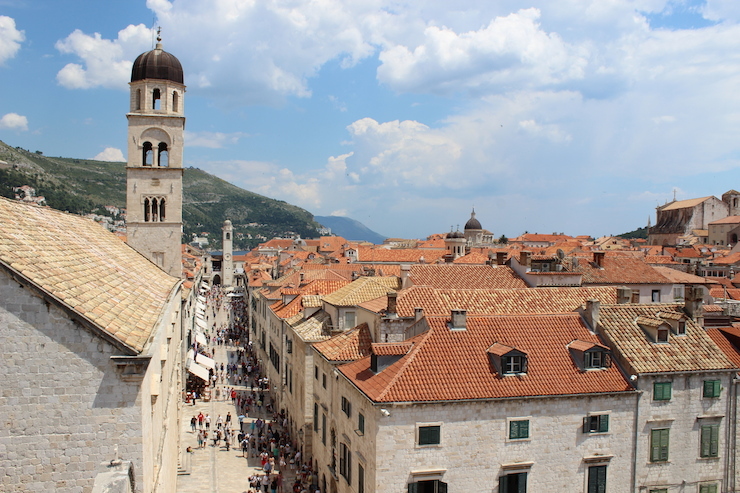 Have you ever been to Dubrovnik? Do you have any recommendations to add to the list? Disclosure: My daughter and I visited Dubrovnik as guests of MSC Cruises on a seven-night Mediterranean cruise aboard the MSC Preziosa. If you’d like to read more about our cruise then read these posts: Top tips for first time cruisers, How to choose a cruise excursion, The spa on board the MSC Preziosa, Cruising for beginners. I went to Dubrovik years and years ago, but just for the day. However, I do remember being absolutely blown away by how beautiful it was – just like you! 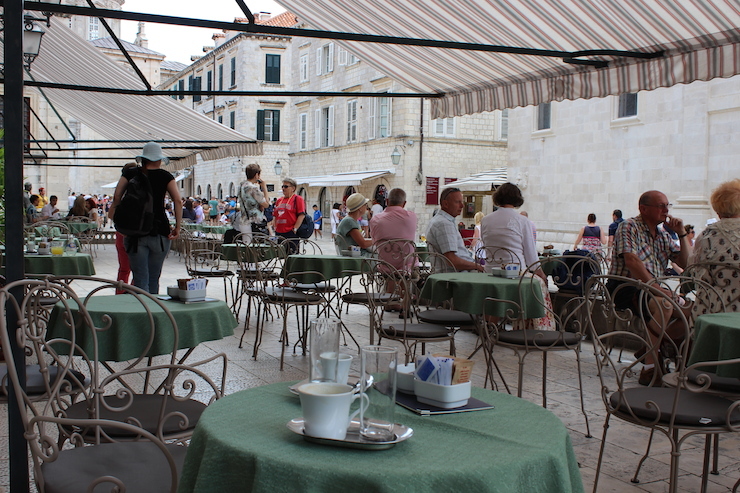 Just the thought of not being hassled by hawkers endears me to Dubrovnik. That’s the best bit about cruisers -giving you a taster session of places to visit in the future. I know, it’s perfect for that. Another place we stopped at which I’d really like to visit again is Istanbul. We had a whirlwind tour but it wasn’t enough! Shame was a flying visit, but as you say it gave you a taste for more! 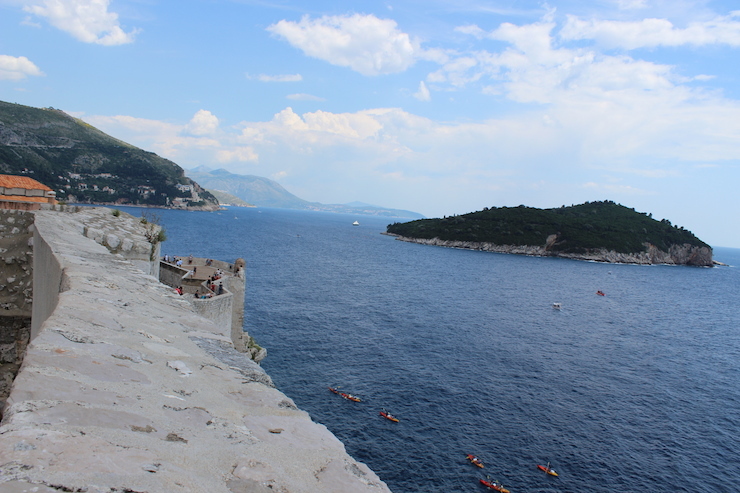 We went to Dubrovnik on our honeymoon, so pre-kids, but I’d agree the pathway along the top of the old city wall is wonderful and great for kids with its spectacular views inside to the city amd outside yo the sea. Game of Thrones was filmed there. It’s probably worth mentioning that many of the beaches are either rocky (for diving off) or shingly, not much soft sand. There may well be other activities and sports in the area as Croatia is very big on rafting, canyoning etc. Cruising seems very popular with travel bloggers!